The Bunny Books Collection is a boxset of 4 very special stories written for your child’s enjoyment along with psychological strategies to support parents. The perfect gift for new parents. A collection of very special stories written for little people, with psychological strategies to help parents, The Bunny Books have each been written based on different techniques to help new parents with common problems that arise, equipping them with what they need to step into parenthood happily and powerfully. 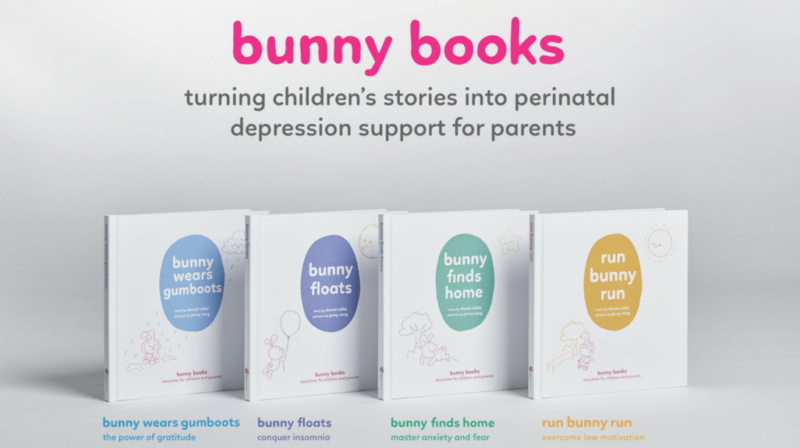 All proceeds from the sale of the Bunny Books go to Gidget Foundation Australia, a charitable organisation committed to promoting the emotional wellbeing of new parents.